About Foothill Resources — Foothill Resources, Ltd.
Foothill Resources, Ltd. (Foothill) was established as a limited partnership in 1983 by Julia G. Costello, Ph.D., historical archaeologist, and Judith Marvin, historian, architectural historian, and museum director; it was incorporated in 1992. Foothill is 100% woman-owned and is a certified Disadvantaged Business Enterprise (DBE), qualifying both as “Small” and “Disadvantaged”. Corporate headquarters, located in Mokelumne Hill, Calaveras County, California, includes an archaeological laboratory facility. A second corporate office is located in Murphys, Calaveras County. Foothill specializes in the management of historic-period resources in the western US, including those of Spanish colonization, subsequent immigrations, urbanization, and the development of agriculture and industries. Foothill places particular importance on making research results available to both interested scholars and to the public through publications and interpretive presentations. 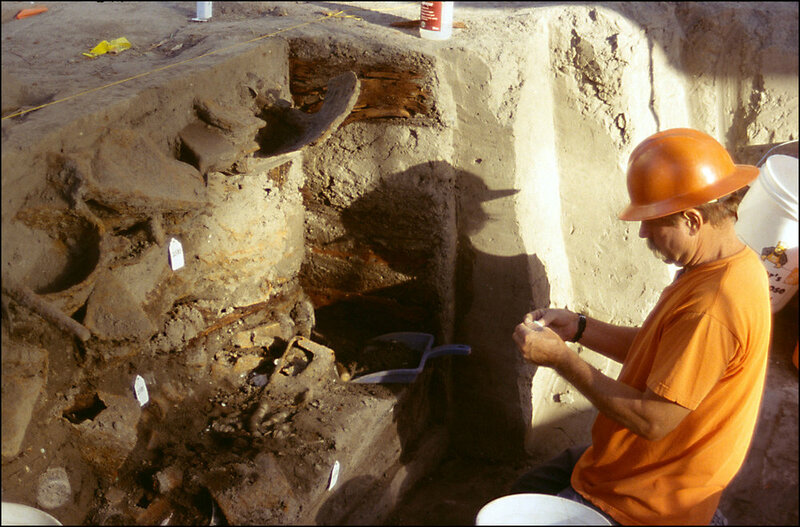 Dr. Costello and Ms. Marvin are experienced in directing archaeological, architectural, and historical cultural resource management (CRM) projects and in evaluating historic resources under both federal (National Environmental Policy Act) and California (California Environmental Quality Act) statutes. Company projects also include site interpretation, museum displays, interpretive planning, and educational programs. US Department of Defense, Air Force. Why an elephant in the logo? It is an historic emblem of the California Gold Rush, where gold seekers described their participation as “going to see the elephant.” The imagery was based on a popular story of the 1840s, here retold by William Weber Johnson. We think life is about going to see elephants.